For a low monthly subscription RML provides Vehicle Leasing Companies with peace of mind and services which are vital to their businesses. Our services range from telephone advice on a number of Industry specific areas through to advising on business-critical systems, producing documents, corresponding with customers and suppliers as necessary. Our service has been designed to take stress from your employees whilst protecting your business. RML can also mediate when disputes arise between vehicle suppliers and leasing companies. We have been able to resolve complaints that have arisen between RML Franchise Dealers and RML Vehicle Leasing members, and successfully recovered unpaid rental payments, and provided advice on service contracts with suppliers such as driver / delivery companies. There are a number of business issues that we assist our members with. RML appreciates that the leasing industry faces different challenges to the ‘Main Stream’ retail motor industry. 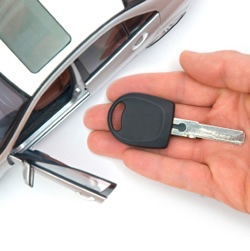 Our experience in resolving Vehicle leasing disputes provides RML with an ability to assist your business. However, whilst some problems are unique to the leasing industry, employment problems are the same for all sections of the industry. RML subscription will enable you, or nominated persons within your business, to obtain frank and informed HR and Employment Law advice.